This is a 6" x 6" Paper Pad has thirty (30) double sided 6x6 Designer Papers. You'll find six (6) Designs and five (5) sheets of each design. 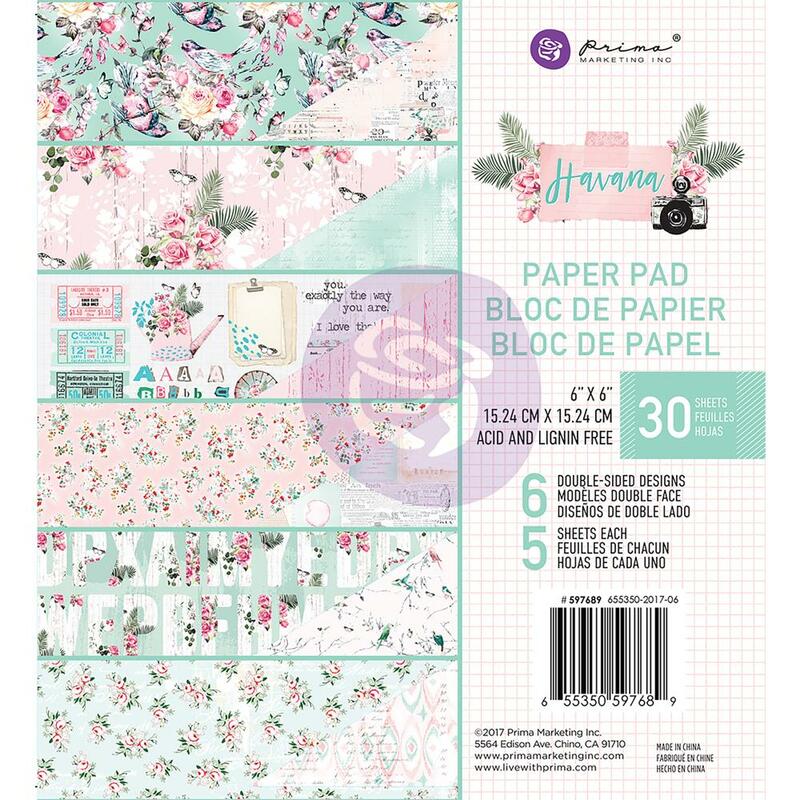 Part of the Havana Collection by Prima Marketing Inc. Look for coordinating Products.